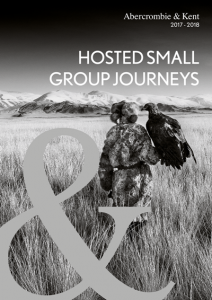 Luxury travel company Abercrombie & Kent has released its new Hosted Small Group Journeys brochure featuring 22 creatively-designed, expert-led journeys to emerging destinations and hard-to-get-to places. These journeys travel off-the-beaten-track to remote, little explored destinations where conditions can be challenging but where A&K’s insider knowledge and expertise ensures security and comfort. Journeys are well-paced to give time to breathe and include active elements to get travellers moving. Designed for the more intrepid Australian luxury traveller there are no more than 18 guests on any one tour. New destinations include West Africa, northern Norway, Georgia and Armenia, Southern India, Mexico and Guatemala.